The rumor mill of Facebook finally doing something with actual Music has been going on for months. Most Facebook app developers have been steering away from developing anything related to music, afraid of being squashed by Facebook, hence the platform doesn't have any real mainstream music services. 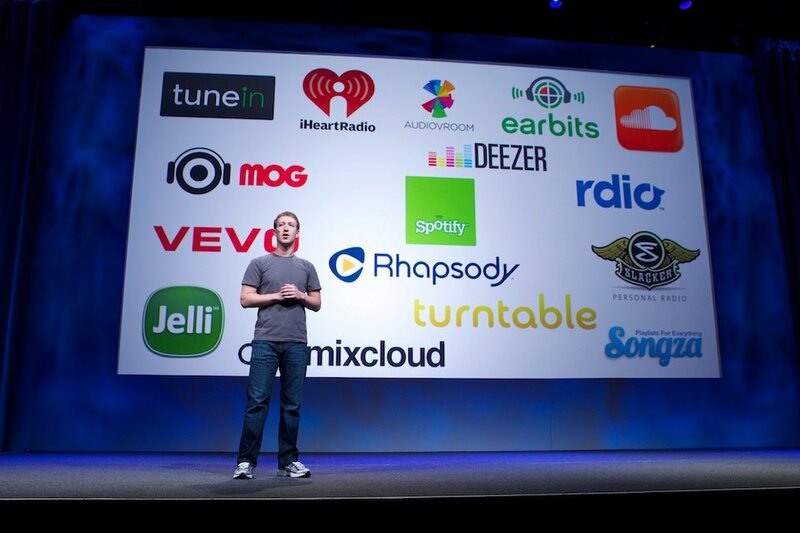 Most of the rumors involve having the major streaming music players (pun intended) Spotify, MOG, Rdio more deeply integrated into the Facebook platform. 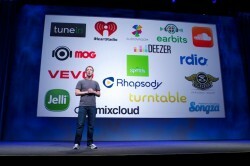 GigaOm summarized Facebook's proposal to the music services (the mentioned Ticker has rolled out in a new design since). 22 September seems to be the date of the upcoming Facebook music announcement at f8 given the first talk beeing about "The Future of Digital Music". Suprisingly this week MOG and Rdio both announcement support of limited free streaming, something Spotify has been offering in Europe, and more recently also in the US. Facebook has been building a social graph for almost anything and anyone. These services providing detailed meta data regarding music, which users could like, share and comment would be a big win for Facebook and other developers to build from. The social graph would be expanded by a detailed music profile of users, and their friends. The undocumented mentioned audio type audio/vnd.facebook.bridge seems to refer to a format that bridges audio between the streaming services and the Facebook platform. It seems all the partners are ready: free streaming, link between the music service and Facebook, all we need is to wait few more days. Posted by Yvo Schaap on on September 17, 2011 .